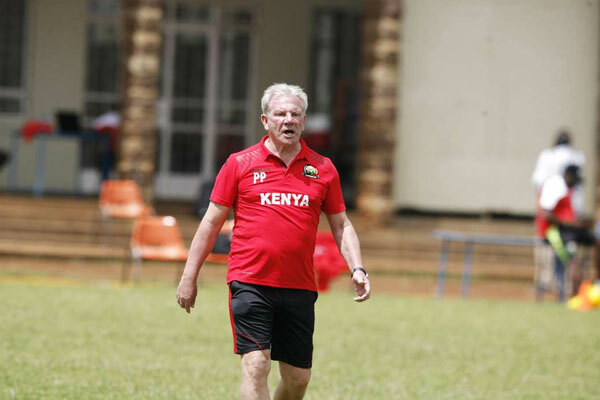 In February of 2018, Paul Put resigned from his position as national team coach, citing the federation’s failure to heed his request for additional staff as well as the withdrawal of sponsors Sportpesa who had withdrawn their sponsorship from several national teams due to the governments decision to hike their taxes on betting companies. “I leave Kenya with a broken heart. I resigned to put pressure on the federation so as to respond to my requests but instead, they reacted in a different way and went to the press announcing my resignation before even responding to my letter which, to be honest, was confidential that I expected they will come back for discussions,” Put said. “This is the first time in my coaching career I am resigning after only three months and I did this painfully. I was motivated to come and help develop Kenyan football. We reached an agreement on how I was going to work and I used Cecafa to observe my technical bench and thereafter made proposals on improvements,” he added. “I want to apologize to the Kenyan public that I was looking forward to work with. Unfortunately, its football and life has to move on,” added Put, who led Burkina Faso to the Cup of Nations final in 2013. With Paul Put having abruptly resigned, FKF set about finding a replacement coach. In came Sebastian Migne on April of 2018. The Frenchman had previously been head coach of the Congo-Brazzaville national team. Kenya was invited to play in the 2018 Intercontinental cup that was held in india. The tournament also featured the national teams of India, Chinese Taipei and New Zealand. All the matches were played at the 60,000 seat Mumbai football arena. Kenya opened their cup campaign with a surprise 2-1 win over New Zealand. The monsoon conditions with heavy rain affected the play of both teams. The All whites had taken a 42nd minute lead via Sarpeet Singh. Kenya replied via a well taken free-kick by Clifton Miheso. The winner came via Ovella Ochieng. The second match was also played under heavy rains occassioned by the monsoon season. India showed why they are ranked 15 places above Kenya, by winning 3-0. Sunnil Chetry scored twice. Kenya needed to win their last preliminary match convincingly in order to qualify for the final. That they did beating Chinese Taipei 4-0. The scorers were Jockins Atudo (2), Timothy Otieno and Dennis Odhiambo. In the final, Kenya played India again. And once again the stadium was filled to capacity as various Indian celebrities chipped in to buy tickets for fans. Kenya once again had no answer for Sunil Chetry who scored another brace to give India a 2-0 win. Kenya finished as runners up. 2019 Africa Nations cup qualifiers. Sebastian Migne’s first real test came when Kenya played Ghana at Kasarani in a 2019 CAN qualfier. Kenya acquitted themselves well and won 1-0 thanks to an own goal. Kenya then forced a scoreless draw away to Ethiopia. A week later they beat Kenya 3-0 at a Kasarani stadium that was filled to capacity due to free entry. The goals came from Eric Johana , Michael Olunga and a Victor Wanyama penalty. With Sierra Leone having been disqualified due to government interference, Kenya sealed their place in the 2019 Africa Nations cup. It marked the first time in 15 years that Harambee stars had qualified for Africa’s premier event. 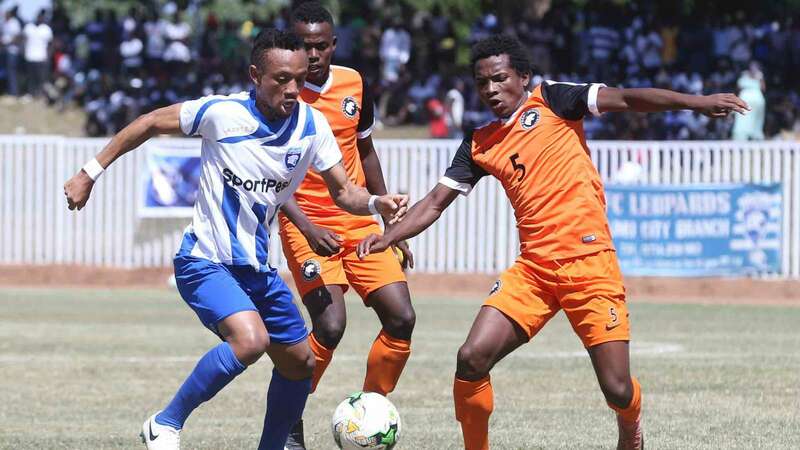 AFC Leopards played in the CAF confederations cup. In the opening round, they played against Fosa Juniors of Madagascar. After settling for a 1-1 draw in Nairobi, they played to a scoreless draw in Madagascar and were thus eliminated in the first round. Yusuf Mainge had scored Ingwe’s goal in the first leg. Gor Mahia played in the Champions League. 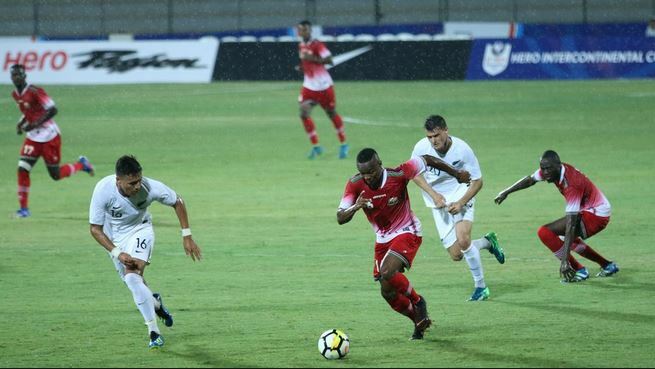 In the opening round, they eliminated Leones Vegeterianos of Equatorial Guinea, winning 2-0 in Machakos and drawing 1-1 away. The first leg was played in Machakos since no stadium was available in Nairobi. Kevin Omondi scored the first goal and Ephrem Guikan scored with what was his first touch upon coming on as a substitute. In the next round, Gor Mahia played Esperance. They drew 0-0 in the opening round and narrowly lost 0-1 in Tunis. 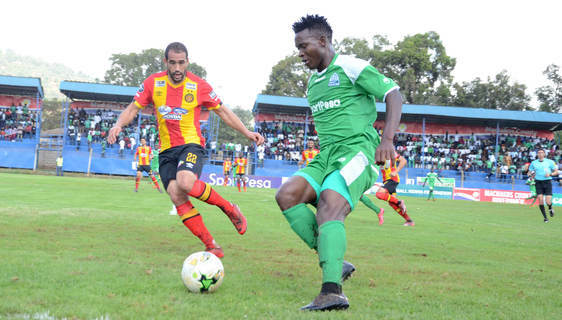 It was a much better performance than Gor Mahia had put up in 2014 when they lost 8-2 on aggregate to Esperance. Gor Mahia were thus relegated to the CAF Confederations cup playoffs. They played Supersport United of South Africa. They won the first leg 1-0 thanks to a penalty by Jacques Tuyisenge. The second leg ended 2-1 in favour of Supersport. Francis Kahata scored the all important away goal that propelled Gor Mahia to the group stage. In the group stage, Gor Mahia started brilliantly. But the loss of players like Meddie Kagere and Godfrey Walusimbi as well as a marathon schedule during the month of August that saw Gor Mahia play 10 matches in 29 days, put paid to Gor Mahia’s campaign. They finished third in the group with 8 points. On the local scene, Gor Mahia won the league, finishing 13 points ahead of second placed Bandari FC. Meanwhile Kariobangi Sharks won the FKF cup. This entry was posted in Kenya Football articles and profiles, Kenya Sports news and commentary and tagged Kenya football history. Bookmark the permalink.